What is the difference between Ra & RMS? Most surface finish requirements are noted in Ra as opposed to an RMS value. Learn more below. RMS and Ra are based on different methods of calculating the roughness. Both are done with a profilometer, but the profilometer calculates the roughness differently for Ra and RMS. Ra is the arithmetic average of surface heights measured across a surface. Simply average the height across the microscopic peaks and valleys. Ra and RMS are both representations of surface roughness, but each is calculated differently. Ra is calculated as the Roughness Average of a surfaces measured microscopic peaks and valleys. RMS is calculated as the Root Mean Square of a surfaces measured microscopic peaks and valleys. Each value uses the same individual height measurements of the surfaces peaks and valleys, but uses the measurements in a different formula. 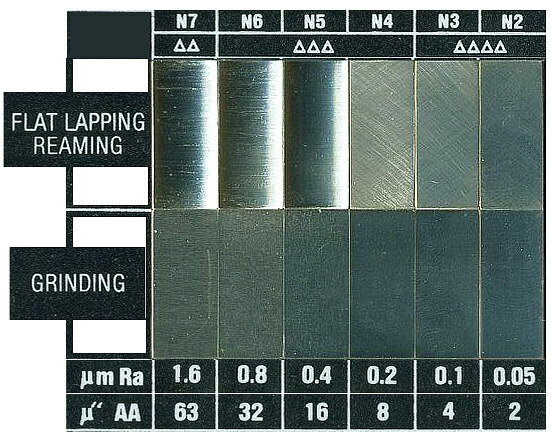 A single large peak or flaw within the microscopic surface texture will effect (raise) the RMS value more than the Ra value, which is why Ra is more commonly used today as a measurement. The RMS is sensitive to the BIG peaks and valleys. Ra is not. Both numbers can be expressed in metric or inch. RMS was more popular 40 years ago when most US industry still worked in inches. Old inch drawings specify RMS. Ra is more commonly used today. (now most US industries work in metric) So they specify Ra in metric. Both Ra and RMS can be expressed in metric or inch. There is no reliable way to convert between Ra and RMS. This formula can be used to convert: RMS (Microinch) = (Ra/.0254) X 1.11 (Micrometer) However, that is only an estimate based on guessing what the shape of the microsurface looks like. Measure height across the microscopic peaks and valleys. Calculate the SQUARE of each measurement value. Calculate the MEAN (or average) of those numbers (squared). Find the square ROOT of that number. The Root Mean Square (RMS)average is precisely that: the square root of the average height deviations from the mean line/surface squared. 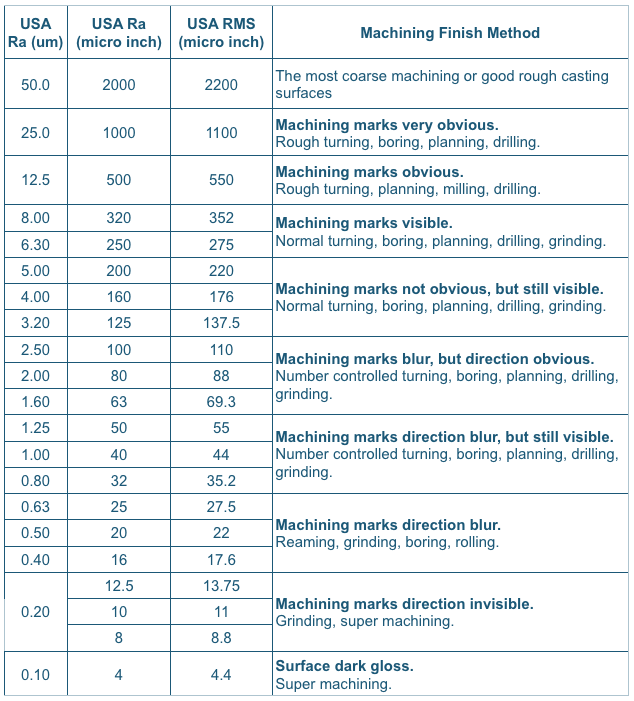 The following is the conversion chart for Ra (um), Ra (micro inch), Rz (um), RMS.